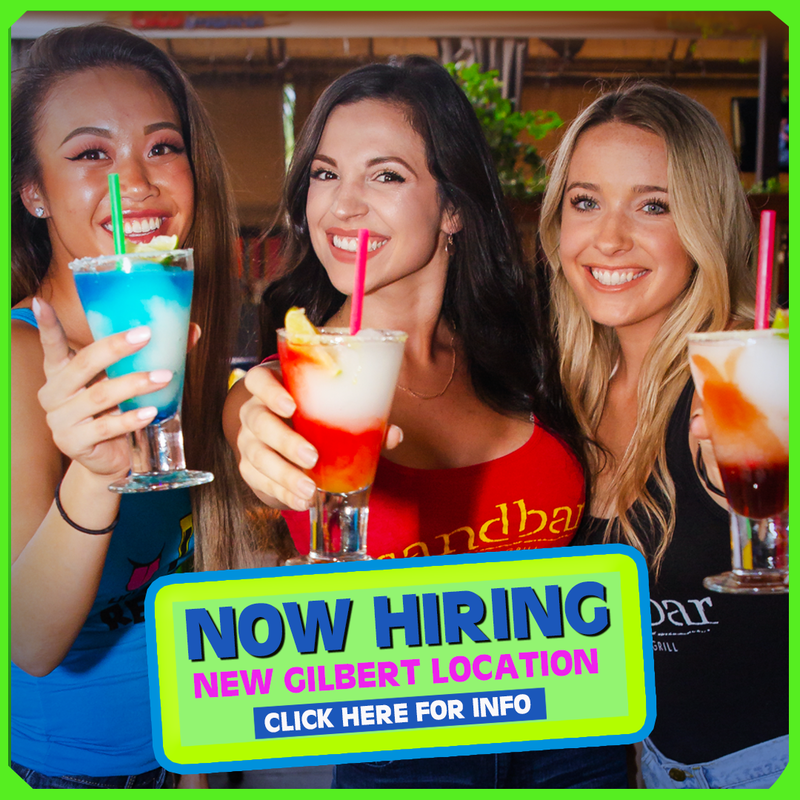 Sandbar Mexican Grill epitomizes the breezy beach mentality while still remaining a high-energy sports bar in the Desert Ridge area. Sandbar Mexican Grill epitomizes the breezy beach mentality while still remaining a high-energy sports bar in Chandler. NOW OPEN! Located in the heart of Gilbert at the SanTan Village Shopping Center, Gilbert), Sandbar Gilbert will feature a colorful Mexican-style décor and a gorgeous patio, all perfectly paired with Mexican food favorites. Sandbar has a full-service bar that mixes up the best cocktails around. We also have an extensive list of specialty cocktails, beer, and wine that is sure to please. Relax with a cocktail in a beach-side lounge chair, catch the big game on one of our 50+ flat-screen HDTVs and experience the vibrancy of flavors in our Southwest twist on Mexican culinary classics.